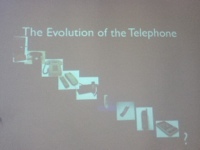 Over the past few days we have been studying the evolution of the telephone. One of the things we had to do was come up with the latest generation of the phone. We had to draw our phone and we had to come up with the features (new features and innovations), the purpose (who it was directed at), what accessories it came with and the price. Watch this space for phone ideas once we are finished. Are you a participant in the Game of Life?